The Girl With The Dragon Tattoo director Niels Arden Oplev is out, Sucker Punch director Zack Snyder is in. That's the latest on Sean Penn and Christian Bale starring drama The Last Photograph. 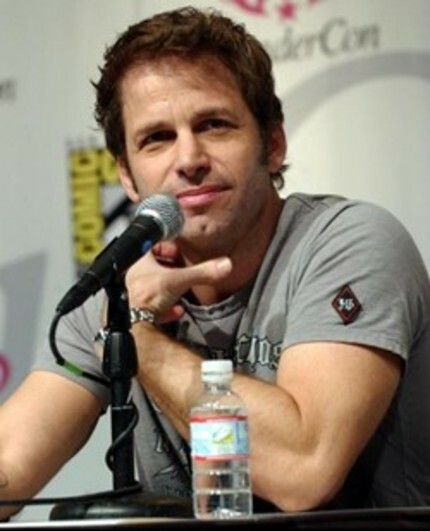 While sources offered no insight on to why Oplev was leaving the project, Snyder stepping in as a replacement makes perfect sense as he was already part of the project as a co-writer and producer and thus should be able to slide straight into directing duties once he has wrapped up his Superman picture Man Of Steel. The film could represent a major change of pace for Snyder, with the story of two men who are inspired to travel to war torn Afghanistan by a photograph sounding more like Oscar-bait than Snyder's normal fan-bait fare. He's certainly working with higher caliber actors in Penn and Bale than normal. This project has been kicking around since at least 2007 with a string of high caliber directors attached at different times - Mongol's Sergei Bodrov was also on board at one point - but it appears as though this is how it will finally go forward. Thanks for the information. Didn´t know about that. I think I will watch the movie as soon as possible.